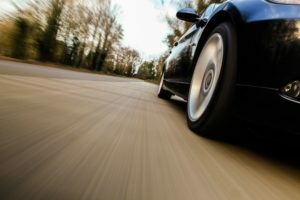 The charge of Reckless Driving is a major offense in the state of Florida because of the potential harm that could be done to others on the road. If you or a loved one is charged with Reckless Driving, regardless of the context, it is a serious case with a potential for harsh penalties. Florida Statute 316.192 addresses the full scope of the charge of Reckless Driving. In general, the charge is made when a law officer perceives a driver to be in operation of a motor vehicle while disregarding the safety of those around him or her. What are the penalties for a Reckless Driving conviction in Florida? Penalties for Reckless Driving increase in severity as a driver’s record becomes more tainted. Reckless Driving is a misdemeanor in Florida, meaning that there is the potential for jail on a first offense. The maximum penalties for a first offense are as follows. These penalties may be combined at the discretion of the court. Second offenses carry double the maximum penalty – up to 6 months in jail and a $1000 penalty, which may also be combined at the discretion of the court. A Reckless Driving charge may be upgraded to a 3rd degree offense in the case of property damage or bodily harm. The penalties here ramp up even more – you may be facing a maximum $5000 fine and 5 years in jail, or both. Is there a difference between Reckless Driving and Careless Driving? Although “reckless” and “careless” may seem like synonyms in everyday language, they are not synonyms under the law. If you are charged with Reckless Driving, you will be scrutinized much more severely than if you are charged with Careless Driving. Careless Driving does not include “wanton disregard” as Reckless Driving does. If you are accused of Reckless Driving, the prosecution is saying that you took into account the risk of your actions and consciously dismissed their potential outcomes. Florida law does not allow you to dismiss a Reckless Driving charge with traffic school. There is also no way to characterize Reckless Driving as a traffic infraction, it is a criminal offense. What is the next step if I am charged with Reckless Driving? Call our office today. Police are officers are trained in how to appear in court and present a case. They will also have meticulous notes on the incident. You must have the same professionalism on your side when you present your case. The Law Office of Verderamo & Nunez is here to ensure that your rights are upheld and your case presented in its best light.